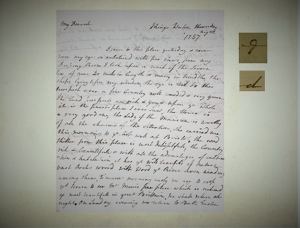 The Bluestocking Corpus to be published in 2015! We hope! 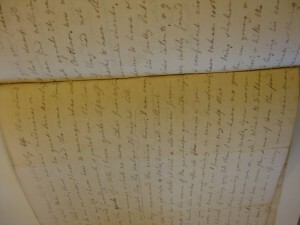 This year is a big year for the Bluestocking Corpus – it’s going to be published! 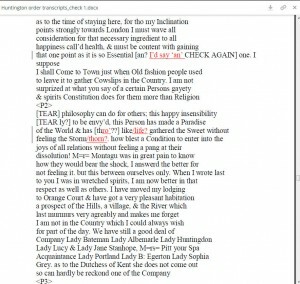 Bluestocking Corpus consists of manuscript correspondence between Elizabeth Montagu (1718-1800) and her social circle, painstakingly transcribed and compiled into a digital source of research material by yours truly over a number of years. 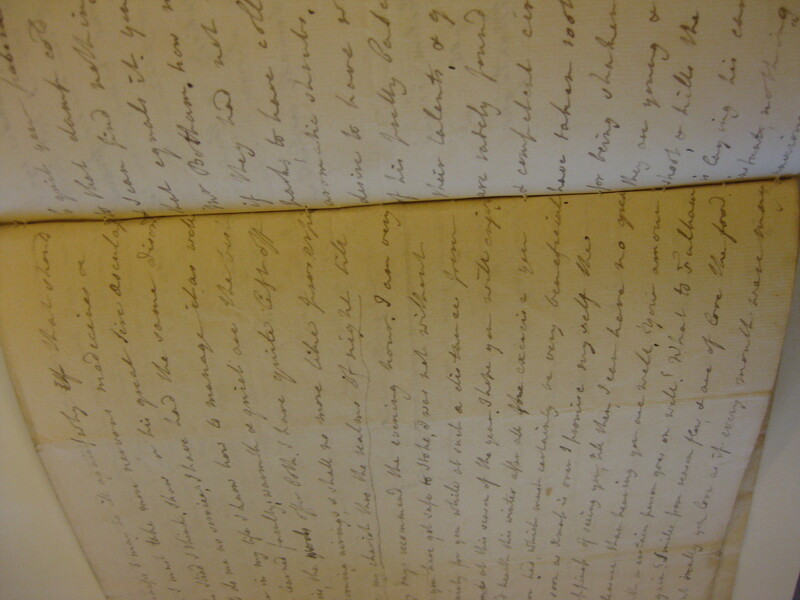 It covers about 300 letters from the 1730s to the 1790s – since it’s work in progress at the moment, I’m not sure what the actual number will be just yet. The corpus will be open access; it will be made available through VARIENG’s CoRD list and other sources. 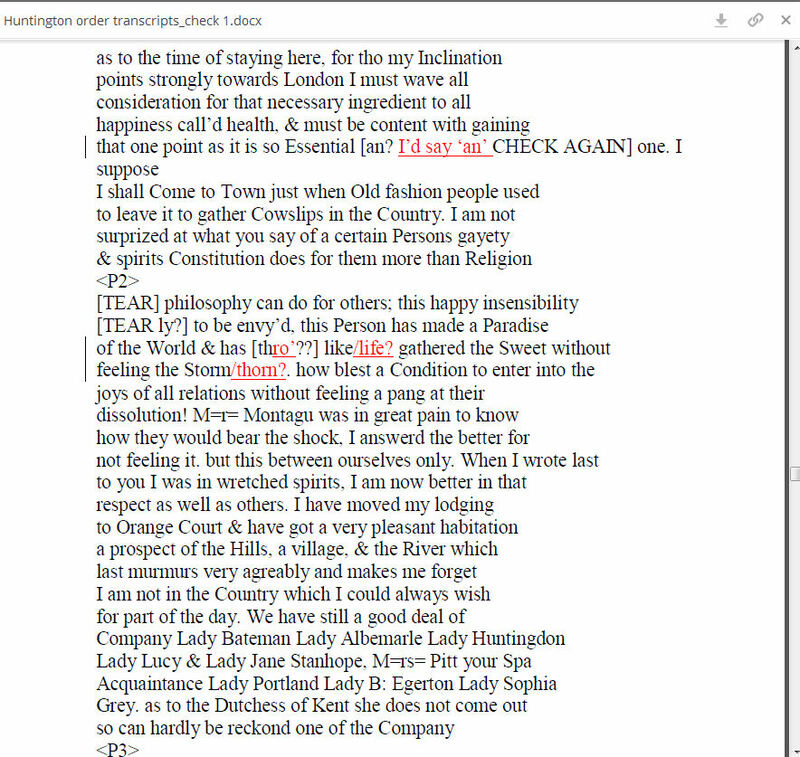 Letters in the Bluestocking Corpus. 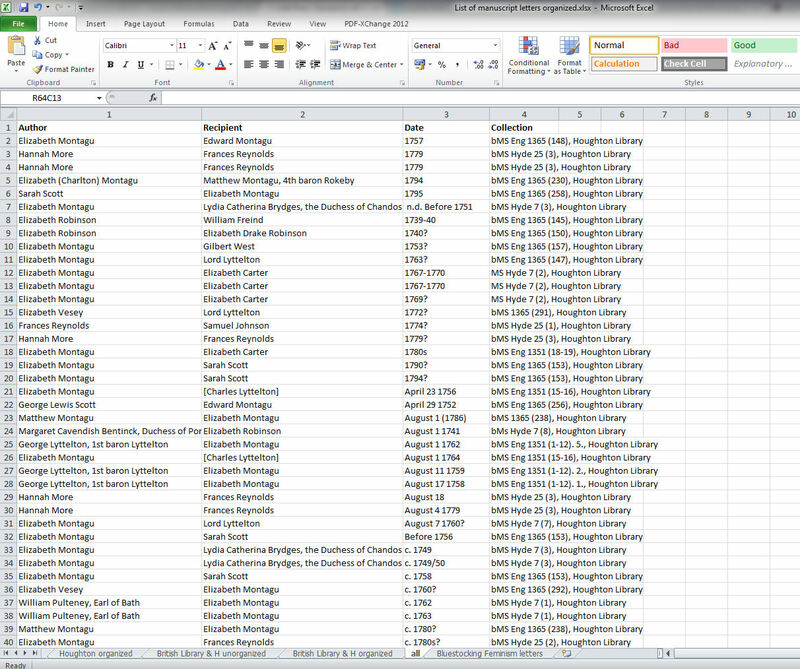 The dates in the spreadsheet need to be revised, as it’s currently impossible to sort this list diachronically. Would that I’d thought of this in 2004. 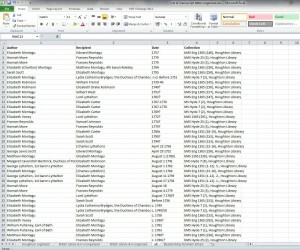 For the past few years, I’ve added new material, checked and revised old transcripts, restructured the contents of the corpus into decade-based files instead of the network approach which resulted in sections ranging from 1738 t0 1742 and so on, and wondered what I should do about the encoding which follows the COCOA format I learned working with the CEEC corpus back in the day (which follows the conventions of the Helsinki Corpus). Last spring our project hired a research assistant to help me, and with Hanna the work progressed by leaps and bounds. This year, VARIENG’s tech guru Ville Marttila is going to create an xml version of the corpus once the text is ready to be encoded. work in progress: Hanna and me valiantly revising the transcriptions. I’m excited to have all this new material to work with, and I’m really itching to see the new statistics once the corpus is ready – there is something very satisfying in viewing word counts. I love it. On the other hand, now that I’m almost ready to do spelling searches, I miss good old WordCruncher version 1 a great deal – it was the first corpus program I learned to use, and even though some scorn it (! 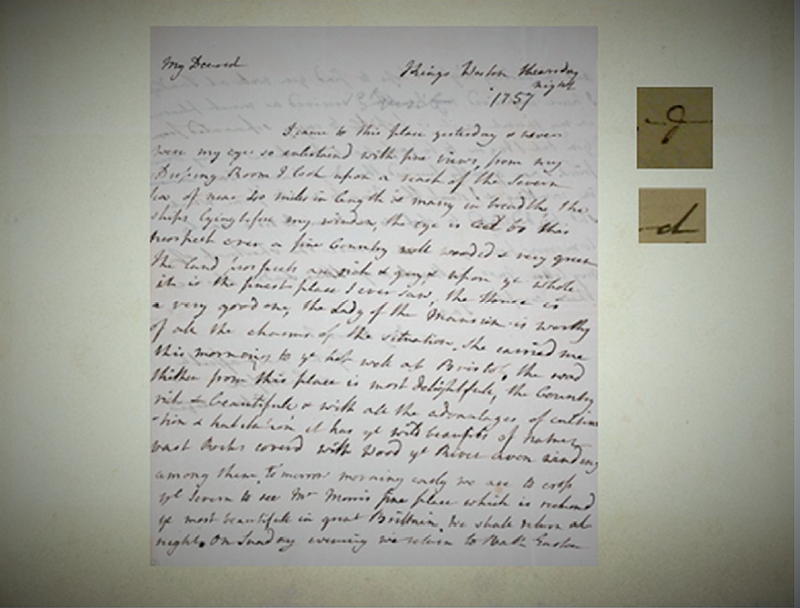 ), it was very useful for spelling research. Edit. You know what: I’m going to download the new version of WordCruncher and see if it’s as handy as the 1980s version (could this be possible??). I never got the new version to work on my office computer, but there may be…reasons. This entry was posted in Bluestocking Corpus, CEEC, corpus compilation and tagged Bluestocking Corpus, CEEC, corpus compilation, defending WordCruncher, memories. Bookmark the permalink.